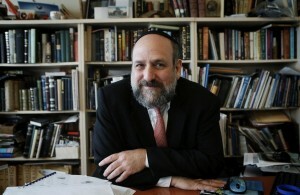 Rabbi Schudrich has been a good friend of Irena and the Life in a Jar kids for a number of years. He has been to several presentations, both in the U.S. and in Poland, and continues to be involved in a powerful work. He always meets with the Life in a Jar cast when they visit Poland, takes an active part in the Irena Sendler Award, and promotes Holocaust education in Polish schools. The Rabbi has been so active in so many Holocaust education initiatives in Eastern Europe.